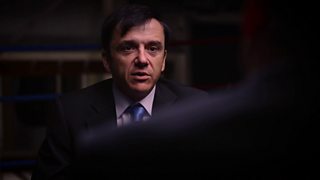 BBC Two - Trust Me, I'm a Doctor, Series 4, Episode 4 - How much is too much... exercise? Michael Mosley investigates the evidence behind some of the claims we hear about in the media. Are some things really ‘all bad’ or ‘all good’? This time, Michael talks to two leading experts on exercise who have different opinions on how much is too much. Current guidelines recommend that adults should do 150 minutes of moderate exercise each week in order to stay healthy. But is this just the minimum we should be doing? Or will we stop benefitting from anything more than this? And is it possible to do too much exercise? Some experts believe that there is a limit to how much we can do before we start causing our bodies damage – this damage could be far reaching and, some are suggesting, actually life shortening. Counter to this, there are those who believe that the body is good at defending itself from doing too much and that the limits to how much exercise we should do are related to lack of extra benefit rather than health. Professor Sanjay Sharma is a consultant cardiologist at St George’s Hospital, London and is the Medical Director for the London Marathon. He believes that 150 minutes of exercise per week is the amount you need to do for optimal health benefits, based on very large studies comparing postal workers in mailrooms with postal delivery staff who are walking a lot more, and another more recent study in 45,000 men. 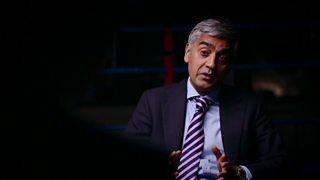 He says it is definitely possible to damage a healthy heart through too much exercise, based partly on a study that he was involved in comparing 172 veteran athletes with matched, healthy non-athletes and showed that 15% of the athletes had scarring in the heart, compared with none of the controls, and 43% of the athletes had furring up of the arteries, compared with 23% of the controls. However, he thinks that 150 minutes of exercise a week, preferably in the form of a brisk walk, is exceptionally good for us, not only improving our cardiovascular systems, but reducing our risk of some cancers, improving mental health and slowing down some of the ageing process. Dr Alejandro Lucia is a Professor of exercise physiology at the European University of Madrid. He thinks that 150 minutes of exercise per week is the bare minimum – and we should really be looking at 450 minutes if we want to get most benefit. He doesn’t think there is such a thing as ‘too much exercise’, and that exercise cannot damage a previously healthy heart. He cites studies showing that when people suffer cardiac issues during a marathon, it is always people who had not previously run marathons, and in the second half of the race, and when examined it is shown that they had an underlying condition which simply had never been picked up before. He also did a small study of elite athletes and showed that they, even doing extreme amounts of exercise, had no heart issues visible on MRI, and he cites a study of nearly 100 Tour de France cyclists showing that they tend to live longer than the rest of us.